(XW) (Miami) 1978 - 1980. Photos. Framable Color Prints and Posters. Digital Sharp Images. Aviation Gifts. Slide Shows. 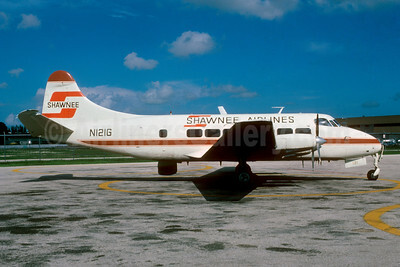 Shawnee Airlines (3rd) de Havilland DH.114 Heron N121G (msn 14063) MIA (Bruce Drum). Image: 193494.